The province has shut Highway 1 and Highway 5 as of Thursday afternoon. Dec. 29, 2016 7:00 p.m. 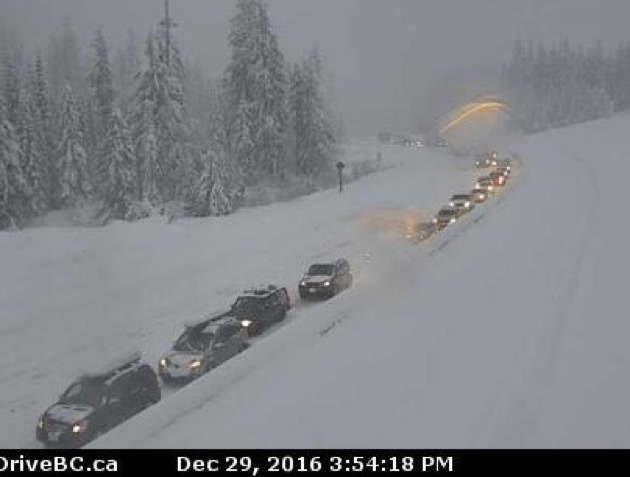 Heavy snowfall stalls motorists on the Coquihalla. 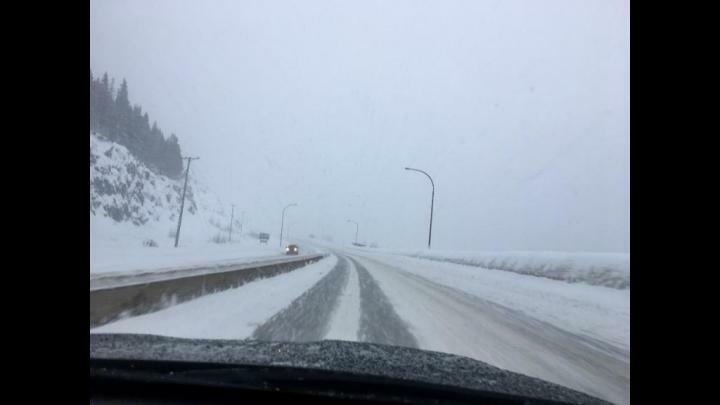 The provincial government has closed Highway 5 northbound and Highway 1 entirely due to heavy snowfall. The province says the length of the closure of Highway 1 is unknown at this time, while Highway 5, the Coquihalla, is closed northbound and expected to open fully at 7:30 p.m.
Southbound traffic is allowed through at this time, but the northbound closure was necessary due to multiple spun-out trucks. “These temporary highway closures are necessary for the safety of the travelling public,” writes the Ministry of Transportation and Infrastructure. The ministry reports that it has deployed more than 25 snow plows, graders and other equipment, and will continue to work around the clock to clear the roads for drivers. Motorists are encouraged to revise travel plans if they are heading north of Hope on Highway 1 or northeast on Highway 5. Motorists are reminded to use extreme caution or consider alternative plans. “If you do need to travel on these routes, motorists should use extra caution, increase their following distance and keep a safe distance from snow plows,” adds the ministry. Send your best news tips, photos and video by hovering over the Home tab and clicking our Contact Us tab. The Coqihalla is now open southbound but remains closed northbound from Hope to Merritt due to heavy snowfall. DriveBC is estimating the highway to fully reopen about 5 p.m. Environment Canada is estimating 20 centimetres of snow to fall overnight. Highway 5 is closed northbound from Hope to Merritt due to heavy snow fall. Drive BC issued a full closure shortly before 4 p.m. but southbound lanes were opened shortly after.